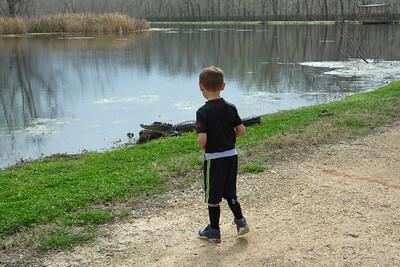 Travis is checking out the first alligator we found. 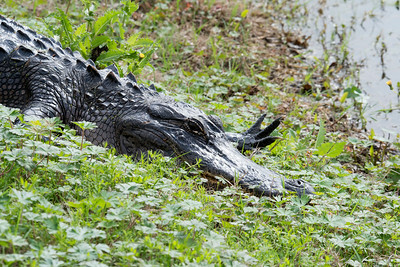 This little guy looked to be about 5 or 6 foot long. 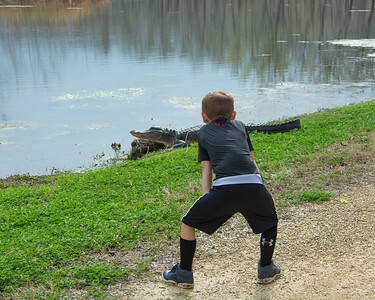 Travis getting a good look at this 5 foot gator. 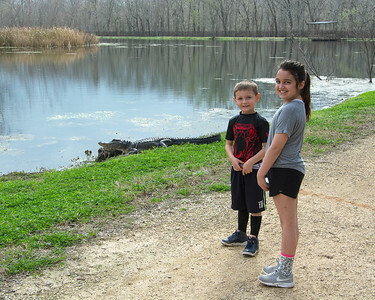 Travis and Jadyn posing with their new friend. 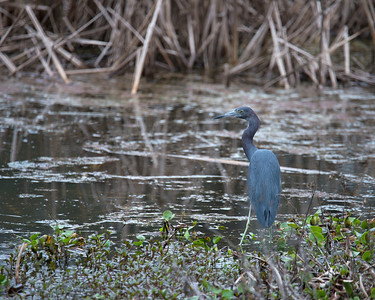 A Little Blue Heron hunting in the marsh. 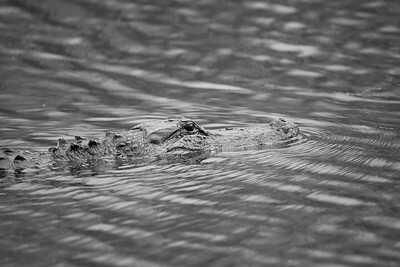 Swimming gator in black and white. 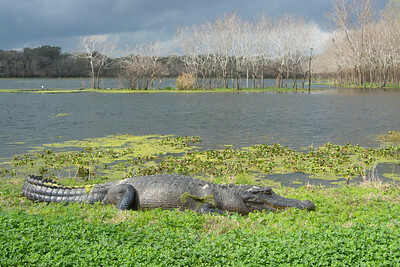 A young alligator sunning itself beside Elm Lake. 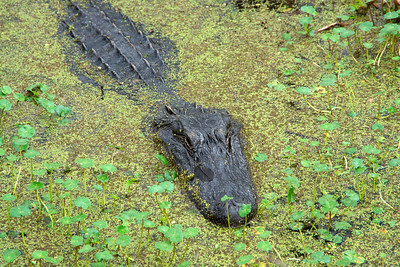 An American Alligator doing his log impersonation in Pilante Lake. 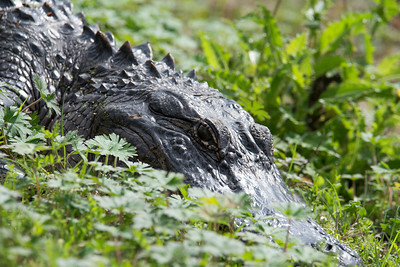 Laying in wait for his prey. 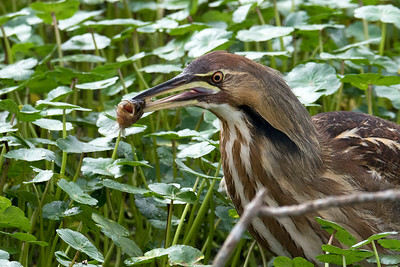 An American Bittern watching a fish. 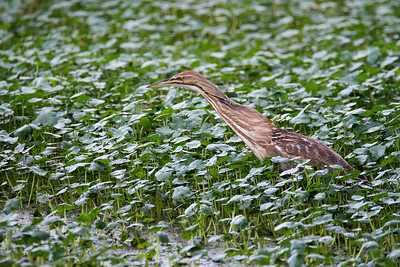 An American Bittern, doing some spearfishing. 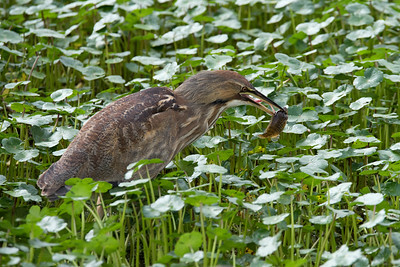 An American Bittern about to eat the catch of the day. 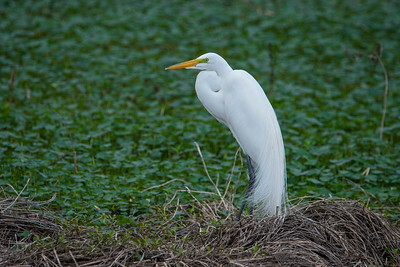 A Great Egret in his full breeding plumage. 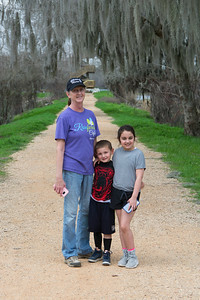 Nana, Travis, and Jadyn on the trail between Elm Lake and 40 Acre Lake. 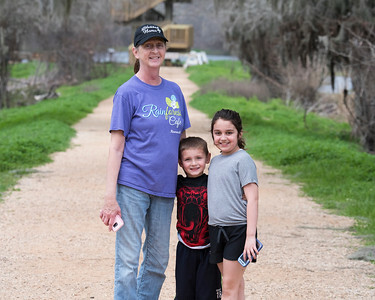 Nana, Travis, and Jadyn posing near the observation tower on 40 Acre Lake. 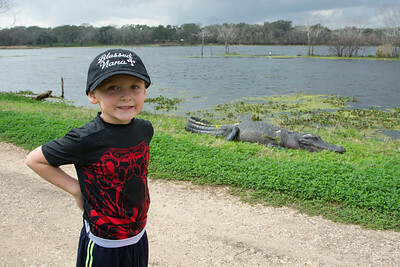 Travis posing in front of a large gator. 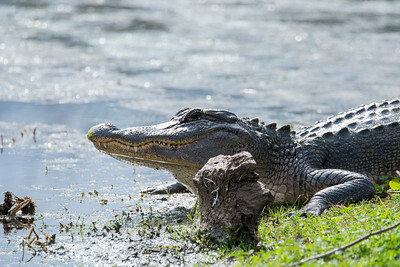 A large American Alligator warming up in the sun on the bank of 40 Acre Lake. 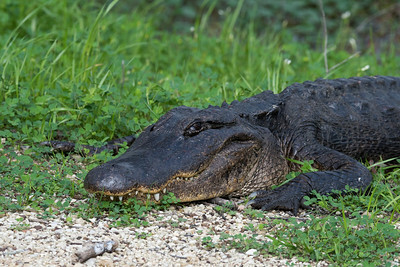 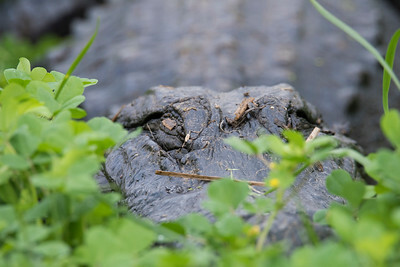 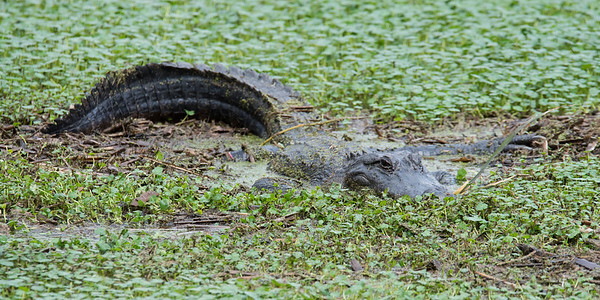 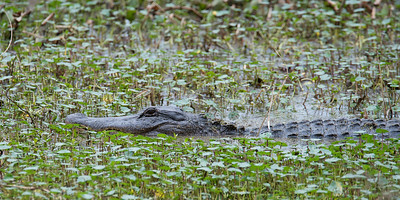 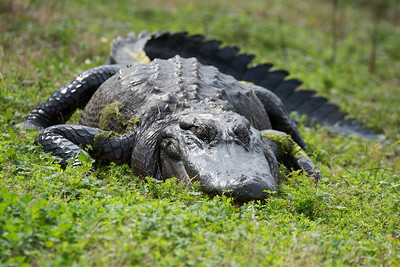 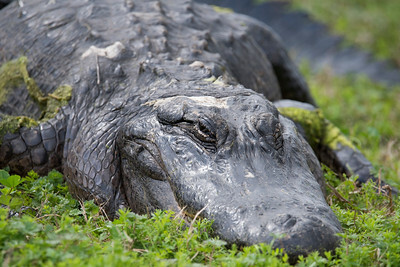 A large gator keeping one eye on the photographer. 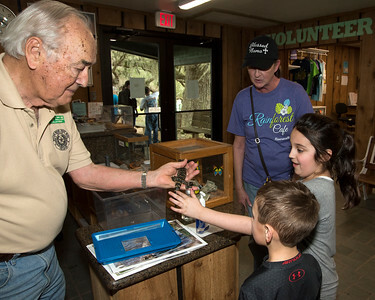 Jadyn touching a baby alligator.